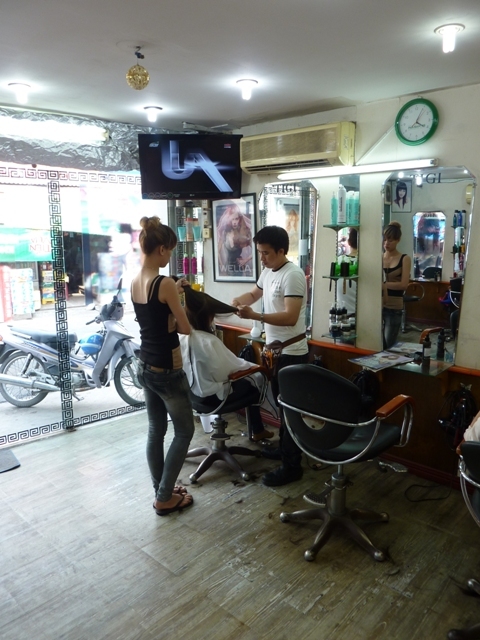 Readers of Destination Saigon will know that much of the action there takes place in or around a hairdressing salon in the suburbs of Ho Chi Minh City. So many people have asked me where the salon is and what it looks like, so I thought I'd put up all the details here and some very recent pics. 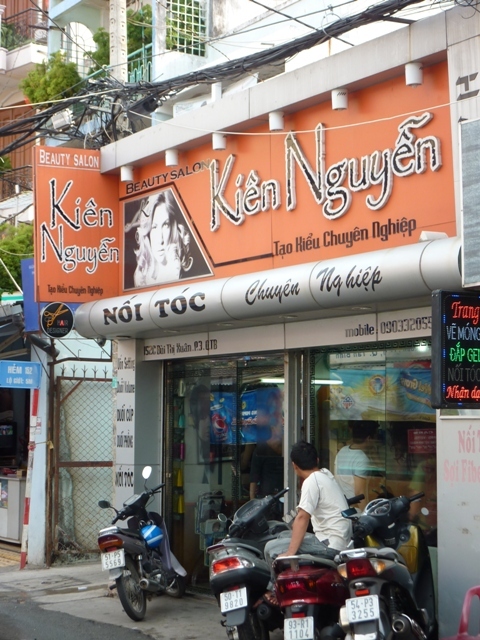 If you are interested in visiting, Salon Kien Nguyen is open from 9 am till about 9 pm. 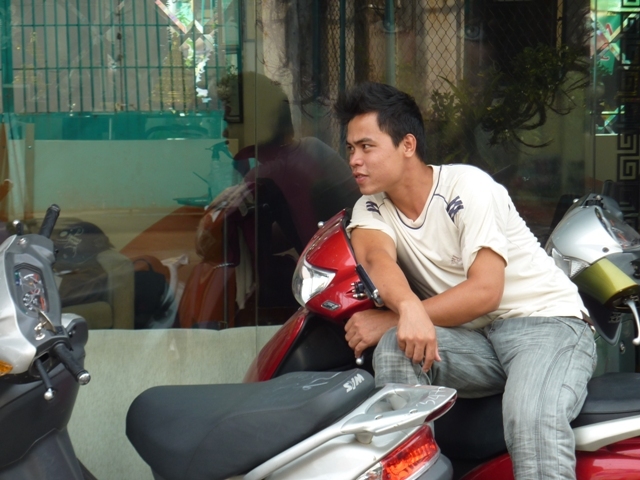 It is situated in Tan Binh District, about a 20 minute taxi ride from downtown Saigon. 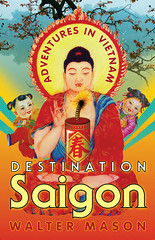 It's worth visiting during the day because it is directly across the road from Vien Giac Pagoda, one of the most interesting and beautiful Buddhist temples in Ho Chi Minh City, though it is rarely visited by western tourists. Even the motorcycle attendants are hunks! 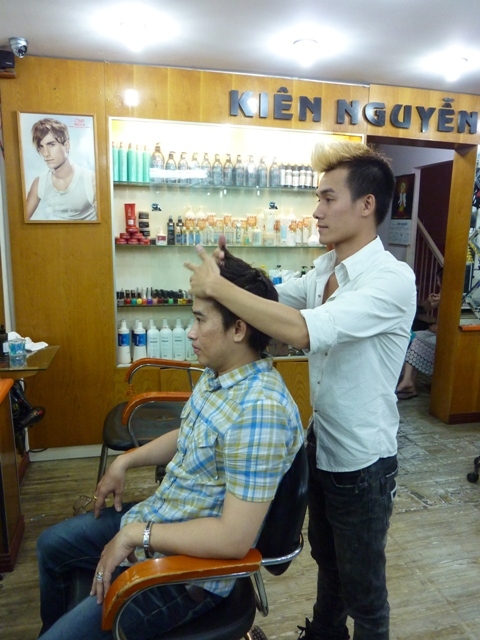 My nephew Kien Nguyen is the maestro, and he heads a team of fabulous, chatty and fun stylists who can do absolutely anything you need to make you more beautiful! 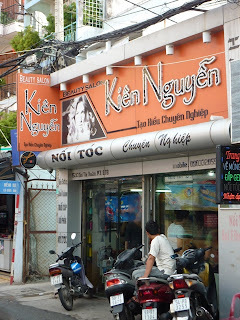 Important note: make sure you tell the taxi driver or xe om that it is Bui Thi Xuan Tan Binh - there is another, more famous, Bui Thi Xuan street in District 1. 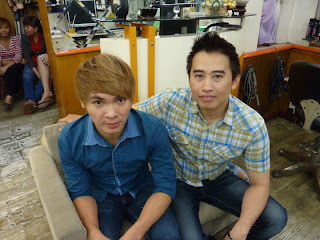 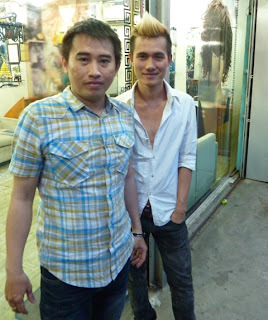 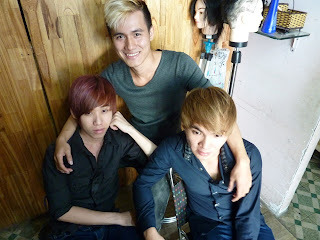 Saigon hair stylist Kien Nguyen with Walter Mason, author of "Destination Saigon"